It’s an undeniable fact – most New Year’s resolutions fail. Not because we don’t want to experience a change that we think will be good for us, but the truth is, most of us don’t take the time to create meaningful goals. Ones that will impact our lives in a big way and are reflective of what is most important to us. Taking time to do this reflection is not just important – it’s VITAL. It gives us the opportunity to acknowledge ourselves – our challenges, difficulties and our successes. It helps us see where we have grown and what directions we would like to take next. If we stop, reflect and become aware first, we’re more likely to dig deeper and the goals we set will align with our values and who we are. When this happens, motivation is easy. So this year, I suggest you STOP and ponder. Just for a short while. If you’ve already hastily made resolutions put them aside for a bit. If you haven’t, that’s perfect. Because isn’t mid January really a better time for someone with ADHD to create their goals? With the majority of the holidays behind us and the new year before us, it’s a great opportunity to think about what we value in our lives, how we are honoring those values, what we’ve achieved in the past year and what we’d like to accomplish in the upcoming year. So, I encourage you right now to set aside some time to ponder and reflect about what it is that you really want to change this year? What will have you moving forward towards a more meaningful and fulfilled you? This is a great time to stare out the window. Listen to music. Get out your favorite pen. Start by simply jotting down your thoughts and learnings from this past year. Become aware of what you already know. What would you like MORE of and LESS of in your life this year? What hurts the most? What are you continuing to tolerate and what do you feel is missing in your life? What are your big achievements from this past year (include it all…academic, personal, spiritual or professional)? 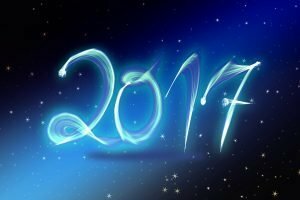 What you are most excited about for the coming year? What do you really, really want this year? What makes that important to you? What excites you about it? How would it change your life? What do you want to say “yes” to this year? If anything were possible, what do you want to be/do/have in this next year? What did you learn this past year that you can use to accomplish this year’s goals? What do you need to learn this year that will help you accomplish this year’s goals? What might get in the way of you reaching your desired goals? What obstacles have gotten in the way in the past that you can anticipate and prevent this year? Who are your allies/support/partners in helping you reach your goals? What negative self-talk gets in the way of reaching your goals? What can you say to yourself instead? What is the secret, wacky and wild goal you want to achieve this year? I’d love to hear what you are going to accomplish this year! Please add your comments below or post to Facebook. Happy New Year and wishing you all the best this year! Those are some great suggestions and ideas to think about. I am going to take so me time in the next few weeks to think about changes I would like to make.